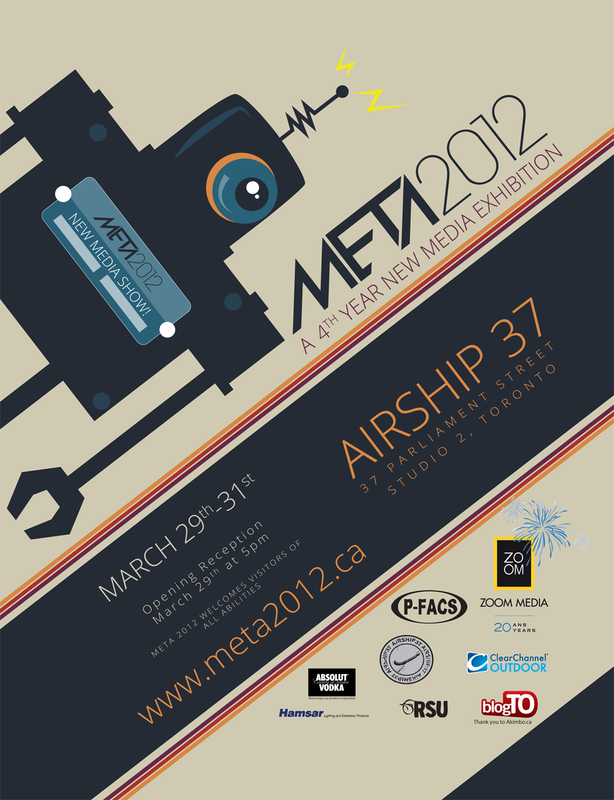 Join META 2012’s artists for a night of art, technology and celebration, featuring thesis works by Ryerson University’s graduating New Media students. Hors d’oeuvres and refreshments to be served. Remarks begin promptly at 6 p.m.
See you at Airship 37 in the Distillery District!